1961 specification guide sign shield. Manufactured between 1985 and 1986. End of interstate 70. 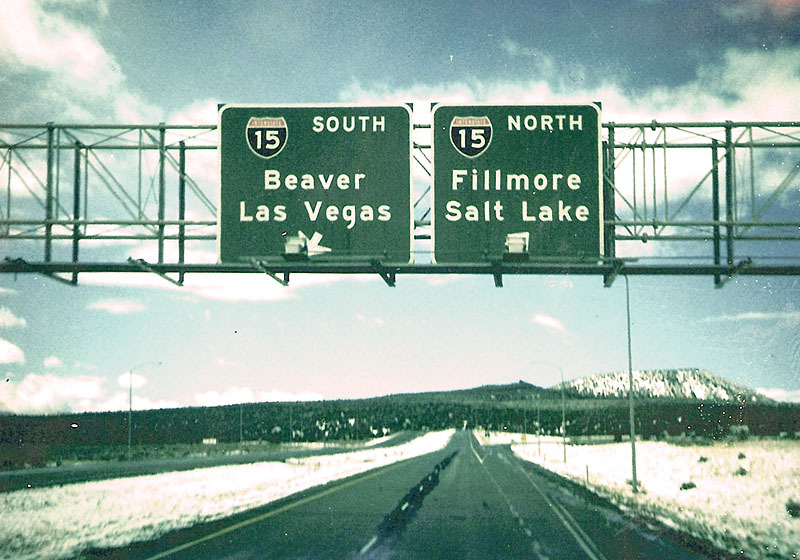 The interstate 15 shields had a black background, instead of blue. Photo by Michael Summa, 1986.